A mini-movie (one minute and a half!) 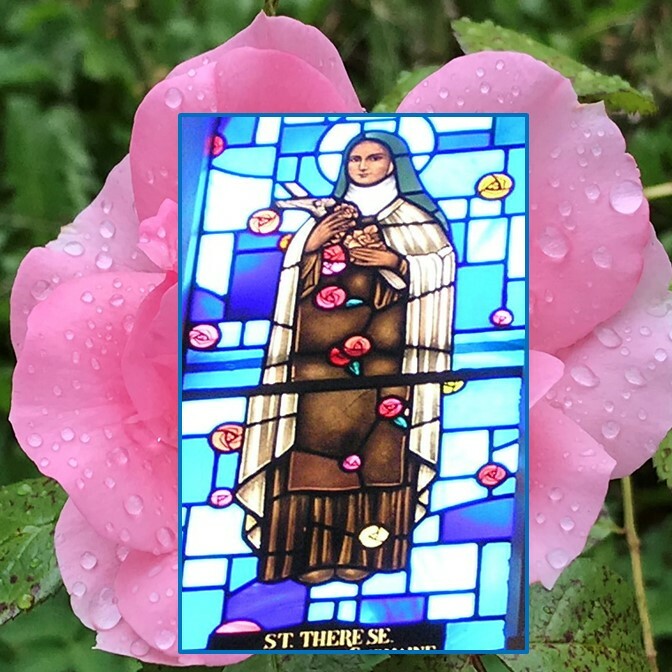 on the theology of Saint Therese de Lisieux (1873-1897) - Afterwards, see credits and commentary below. All flower pictures were taken in the French Alps in early June. The Carmelite photo was copied with permission from the web site of the Sisters of Carmel in Colorado. The picture of the Therese stained-glass window was taken in Notre-Dame des Victoires Church, in San Francisco here . The summary of her theology has been outlined in many books, first of all, in her own book: "Story of a soul". It is a short book, the unique story of her life, her childhood, her spiritual journey, her drive to enter Carmel as early as she could and her hunger for God in the face of His Son. Her book reads very easily, like an adventure story, and her voice has touched so many people that she is one of the most popular saint of all times, with Saint Francis. Recently, a friend of mine gave me the book "Conversations with Therese of Lisieux, a mystic for our time" by Jacques Gauthier and I liked it a lot. It got me to re-read "Story of a soul". Inspired by my readings and grateful to Therese for her many practical insights - which have always helped me - I came up with this little Flash movie. When you think about it, Therese de Lisieux is quite an amazing Saint. Her very short life (she was 24 years old when she died) is a remarkable tribute to what the grace of God can accomplish in us when we truly open our hearts and our arms to Him... All she wanted was "to love Jesus and help others love him too". I think that it is very appropriate to ask for her intercession in helping us grow into the virtues of Love, Trust and Surrender, as we are faced with our current culture of consumerism, competition and control.